When you’re trying to solve a problem, it helps to have all possible information. It’s the same with losing weight and being healthy. Just putting on a wearable doesn’t mean you’ll start losing weight. But tracking your steps and getting data on things like your sleep cycle can certainly be enlightening. My weight loss journey started with the simple obsession of filling up the activity rings on the Apple Watch. Every single day. 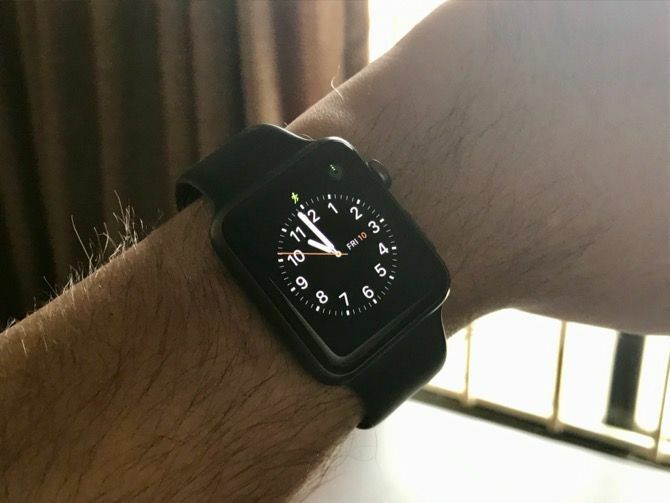 If you’re the kind of person who gets excited by new technology, strapping a computer on your wrist can be a great way to motivate yourself. And if you’re an iPhone owner, there are basically two options: an Apple Watch or a Fitbit. The Apple Watch is better at almost everything. Yes, it’s expensive. Yes, there’s nuance to this argument and making blanket generalizations don’t help anyone. But that’s what the rest of the article is for. One of the starkest differences between a Fitbit and an Apple Watch is not so much the technology but how you interact with it. So we’re going to go deep on some interaction talk. Apple Watch’s interaction model is way better than any Fitbit on the market. With watchOS 4, Apple has reduced the reliance on the Digital Crown and Force Touch. So now you mostly interact with the Apple Watch using swipe gestures and taps. And the experience is at the same level as that of an iPhone: reliable and fast (especially with the new Apple Watch Series 3). This smooth interaction allows the Apple Watch to be a “real” smartwatch. Swiping between watch faces, interacting with complications and even opening apps happens in a couple of seconds. Plus, you can avoid interacting with the touch screen altogether by asking Siri to do things like start a workout or set a reminder. Fitbits, on the other hand, suffer in this regard. Depending on your Fitbit of choice, your interaction experience can range from nonexistent on the Fitbit Flex to mildly annoying on the Charge 2.